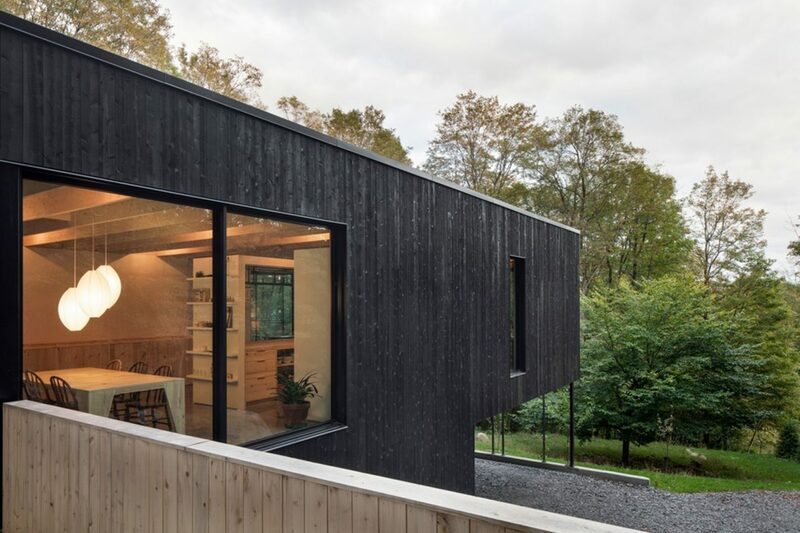 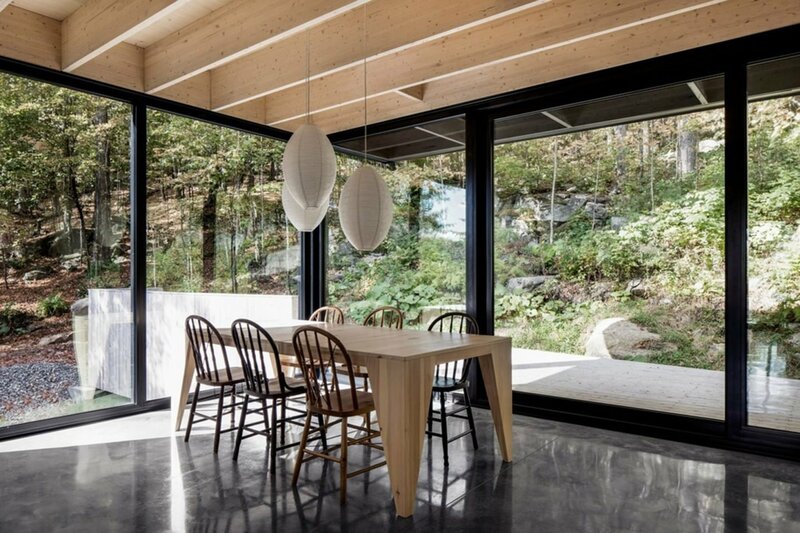 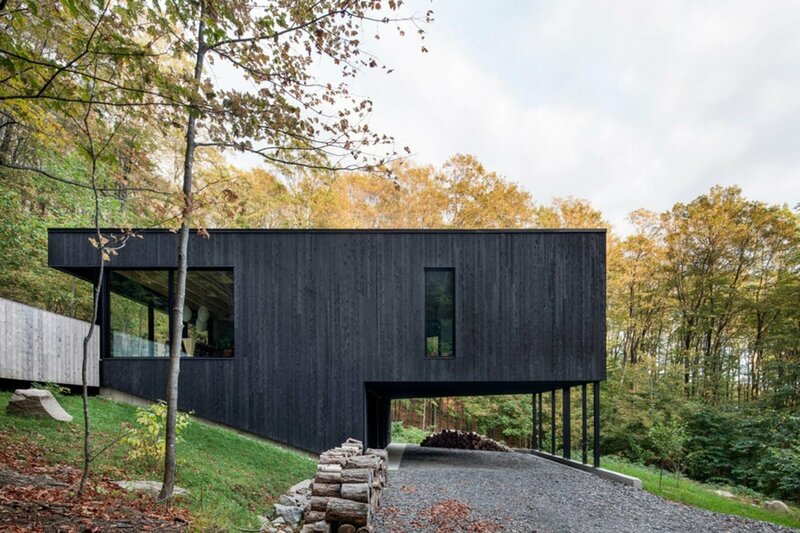 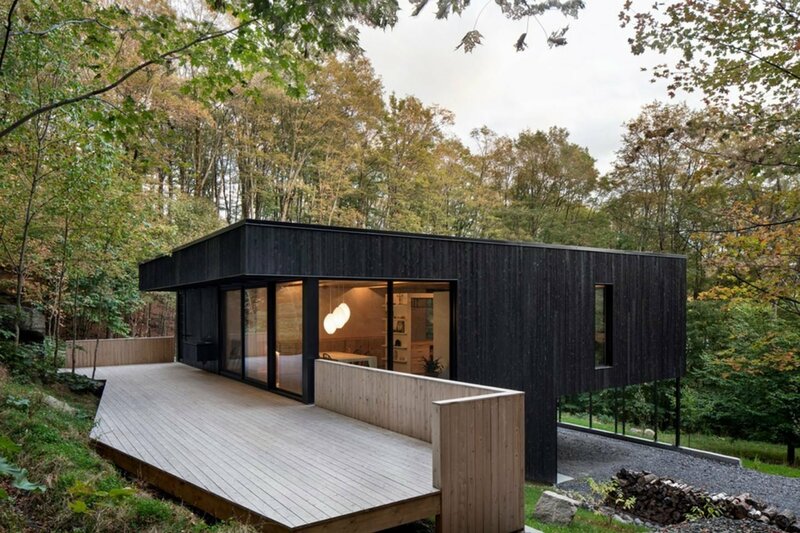 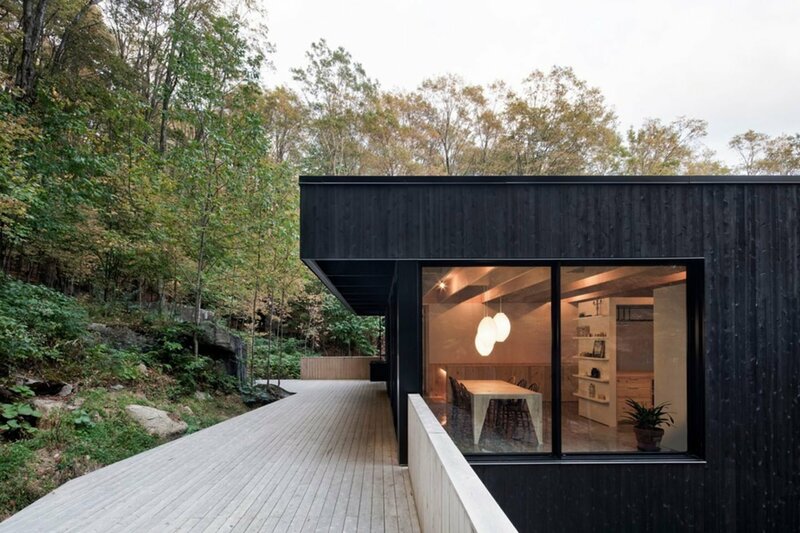 As Mount Shefford’s slope gives way to a dense maple forest, a black-clad minimalist home cantilevers above the trees. 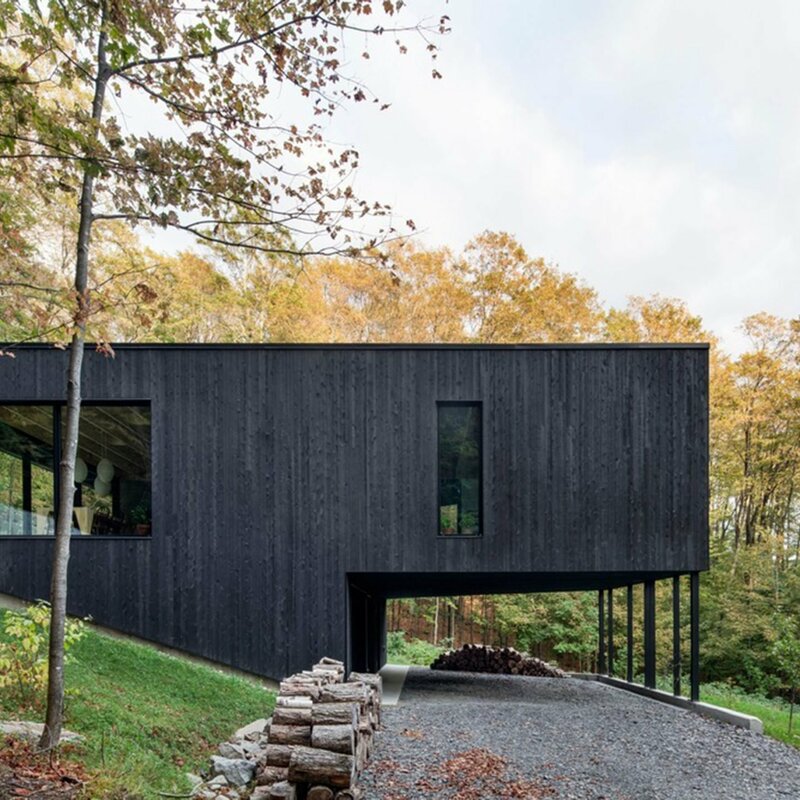 Designed by Montreal-based firm Atelier Général, this residence artfully merges with the mountain. 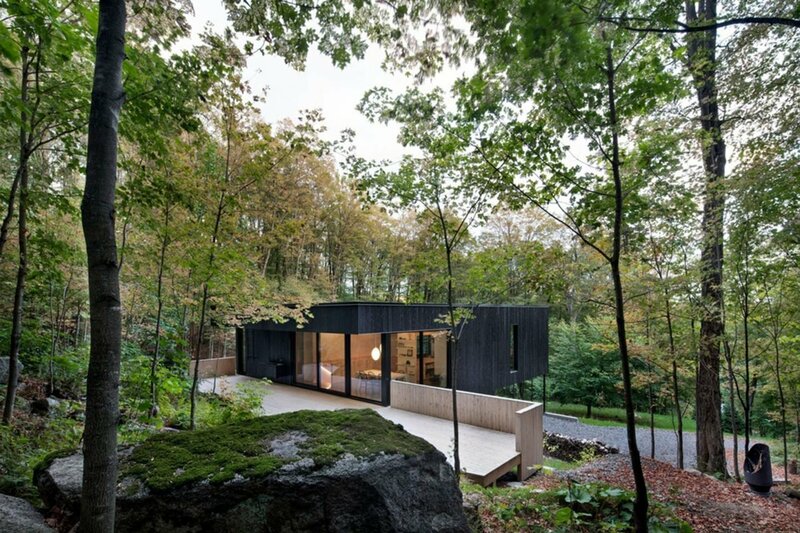 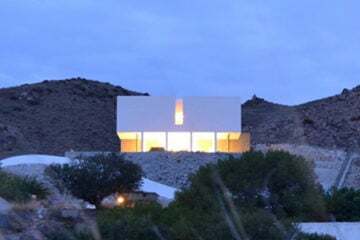 ‘The Rock‘ has views of the jagged landscape mountain and the forest that it cantilevers over — the design both sympathetic and in communication with its surrounds. 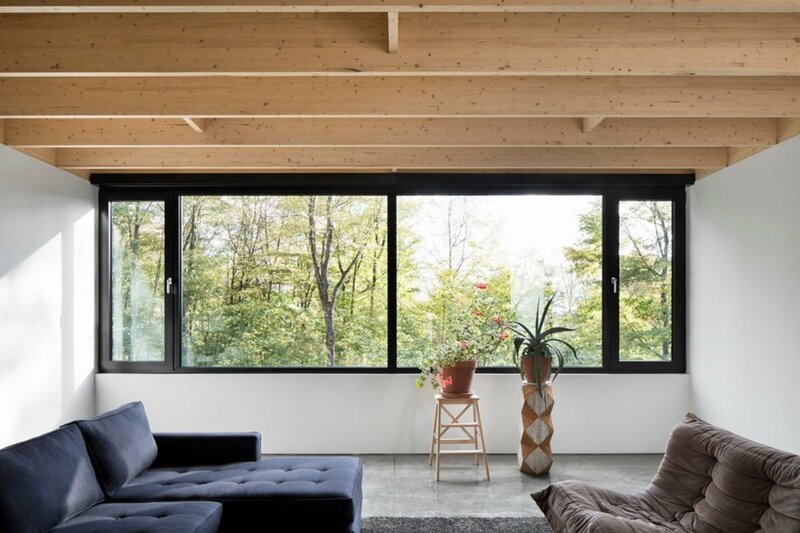 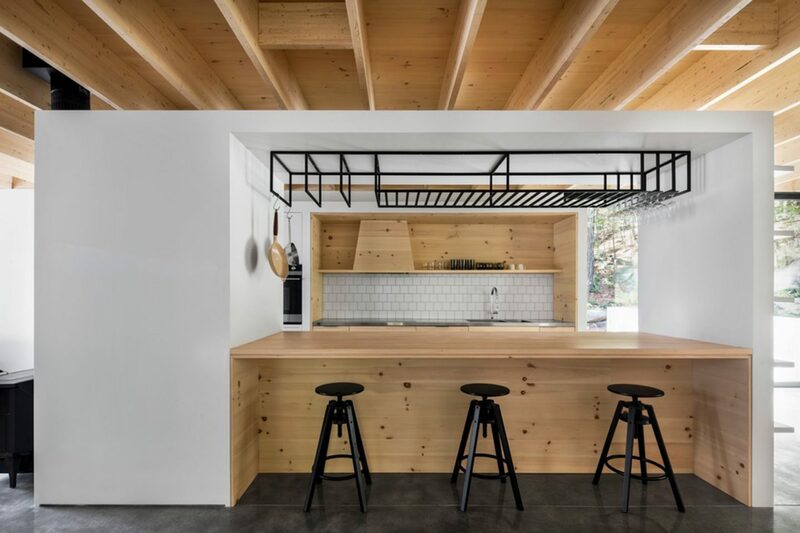 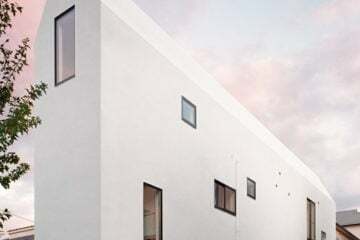 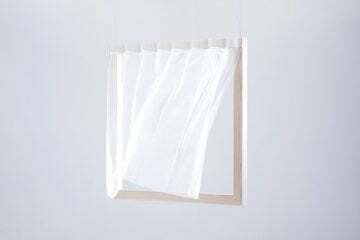 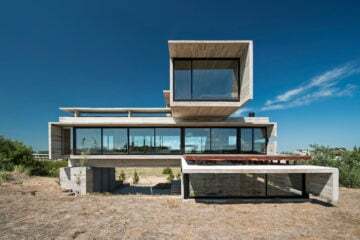 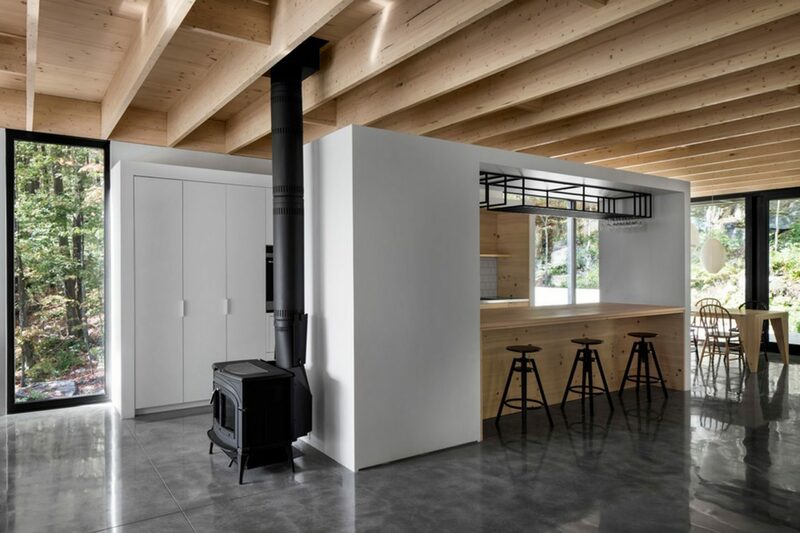 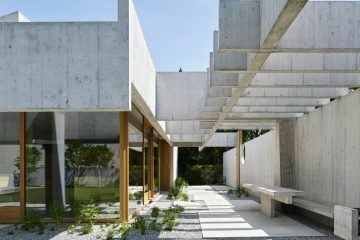 With living areas located upstairs, the residence offers free-flowing spaces connected by a floating roof whose laminated wooden structure is on show throughout the home. 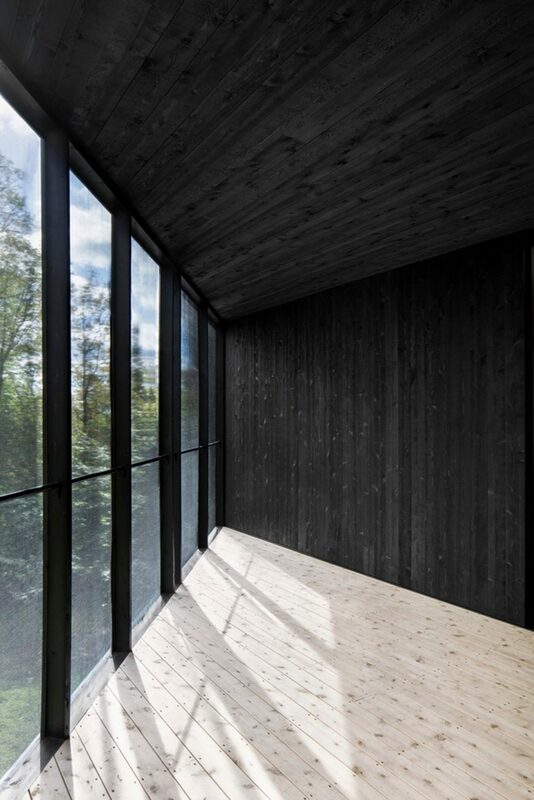 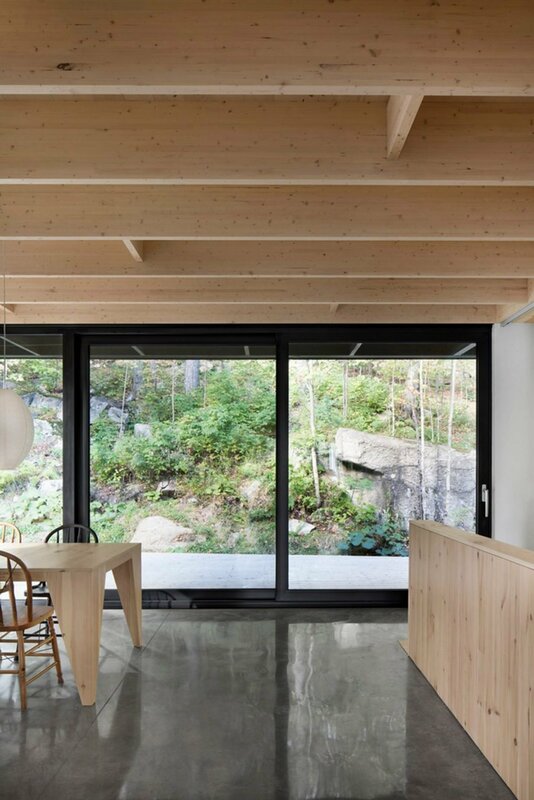 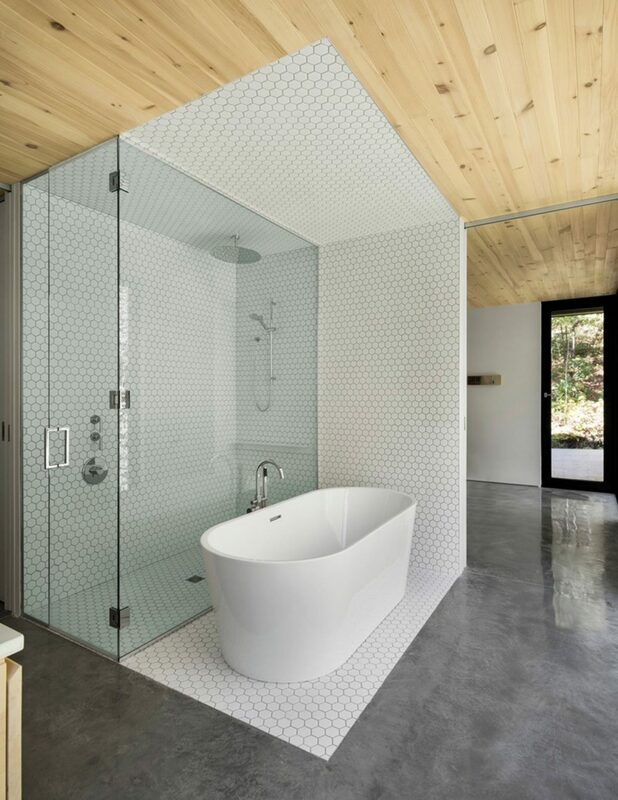 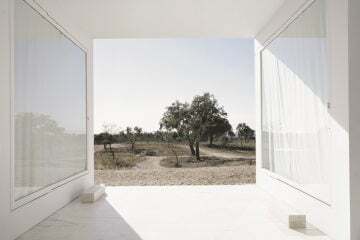 Each of the axes of this space finishes with a glass wall, offering a prismatic view of the forest. 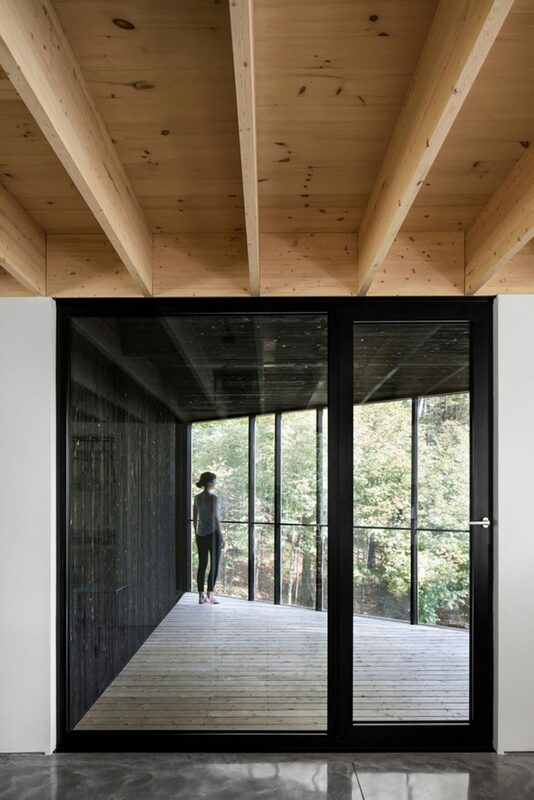 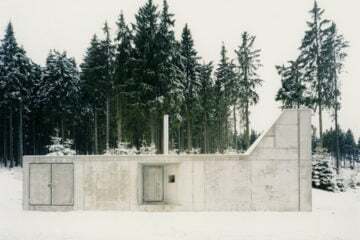 This integration with nature continues throughout the home; the forest is used to provide privacy and walls where there are none. 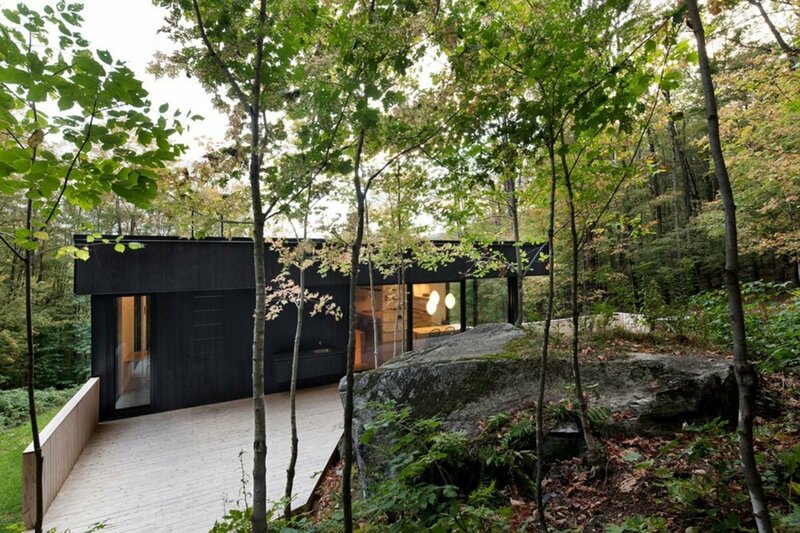 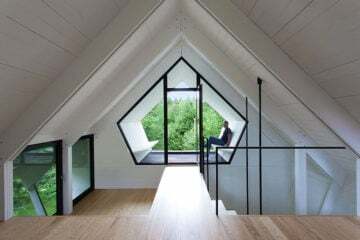 The triangular veranda completes this synthesis, nestled in the leafy cover of the mountain.